I did not take one single picture of our Mother's Day Celebration! It's like I don't even have a blog or something! We had both mom's come over for lunch after church and it was nice. 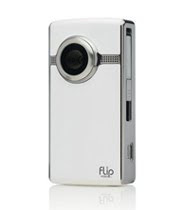 My husband is super sweet and he got me a Flip video camera for Mother's Day. I guess I am technically a mom. And I am not one to turn down a gift, that's for sure. I know this will come in handy when Katie is doing some super cute thing that I need to share with the world! Then the real party began. 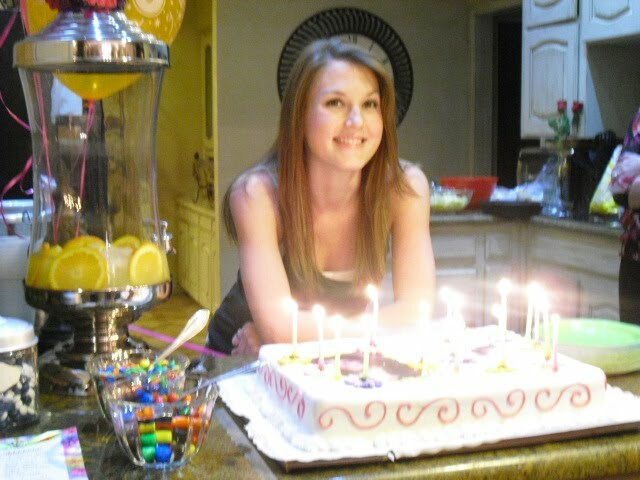 We had a surprise party for my niece's 16th birthday! All the girls piled in and they drove to the end of the driveway. 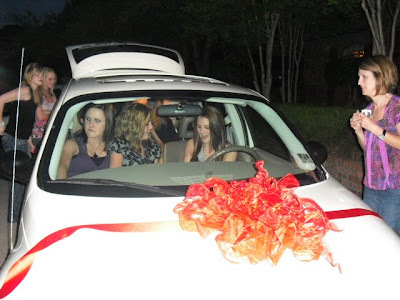 Jennifer didn't have her license yet, so she needed to have a responsible adult ride home with her. I got to be the responsible adult!! Crazy huh? You would probably think I was in a stolen car by the way I drive! I hope you all had a great Mother's Day. Glad you had a nice Mother's Day. It's just the beginning of many! BTW, how's it going with home sale? I love the short trip to the end of the driveway! So much fun. 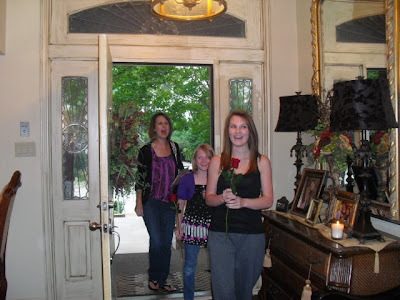 I am glad you had a happy mother's day!